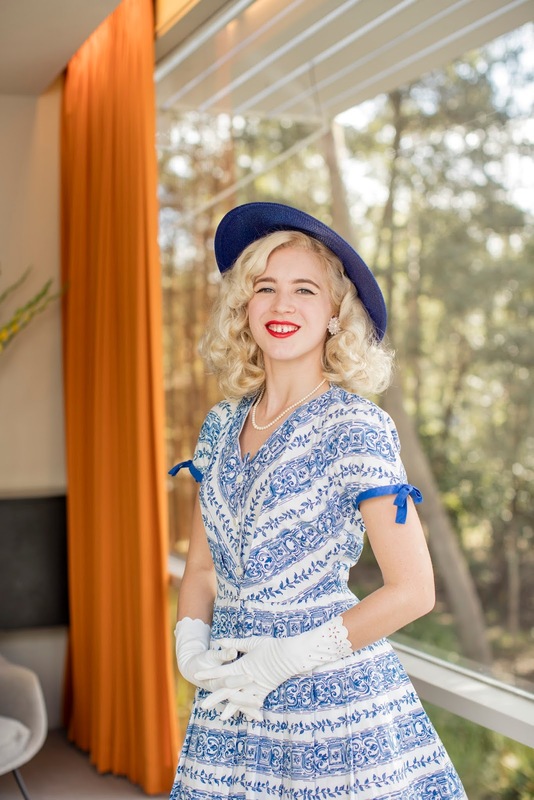 Back in May I was part of the 2016 Fifties Fair promotional photoshoot with two other vintage loving ladies. The first half of this blog post features photos from the shoot by James Horan and the second half are behind the scenes shots. Photo © James Horan for Sydney Living Museums. 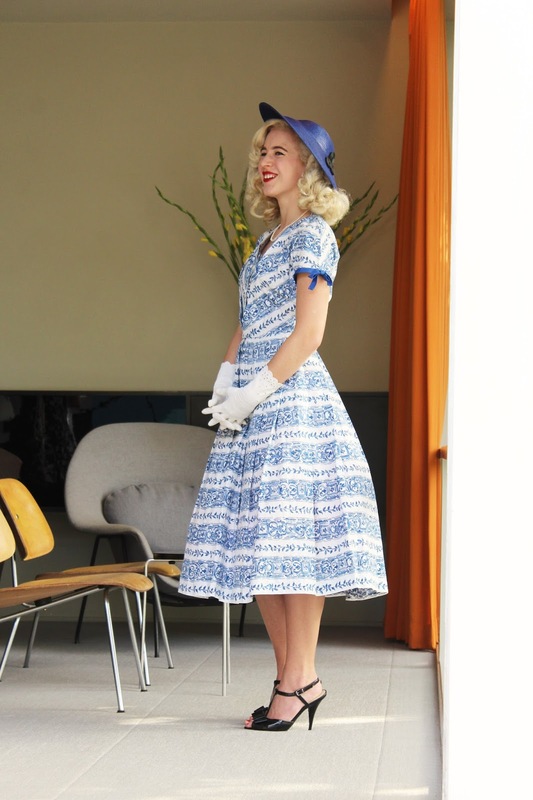 When I first attended the Fifties Fair in 2014 I was really excited to visit the house as it is a design ahead of it's time. This mid century modern home is so well thought out and unique compared to typical 1950's homes. The house has so much room with an open living plan, huge windows which allows the natural light to flow through the house and a deck to take in the surroundings of the Ku-ring-gai National Park. Apart from the amazing design and striking look of the Rose Seidler House I can't go past the lounge room/living area and kitchen, they are so inviting with lots of space to relax. It must have been an amazing place to live. I was over the moon to be shooting here for the campaign, the crew was amazing and our photographer was excellent to work with. 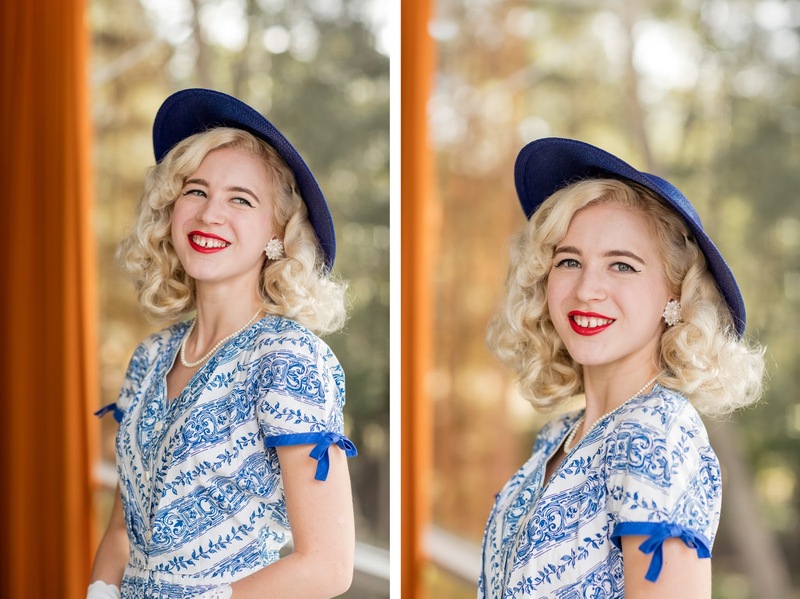 It will be the 21st Fifties Fair this year so the photoshoot evoked happiness and good times to celebrate the milestone and I felt very happy that day! We had lots of laughs on set and it was a pleasure to work with Briony and Casey. They were both wearing the most beautiful dresses and we all thought that our dresses complimented each other on the day. I absolutely love these photos and was really excited when I received them back a few weeks ago! 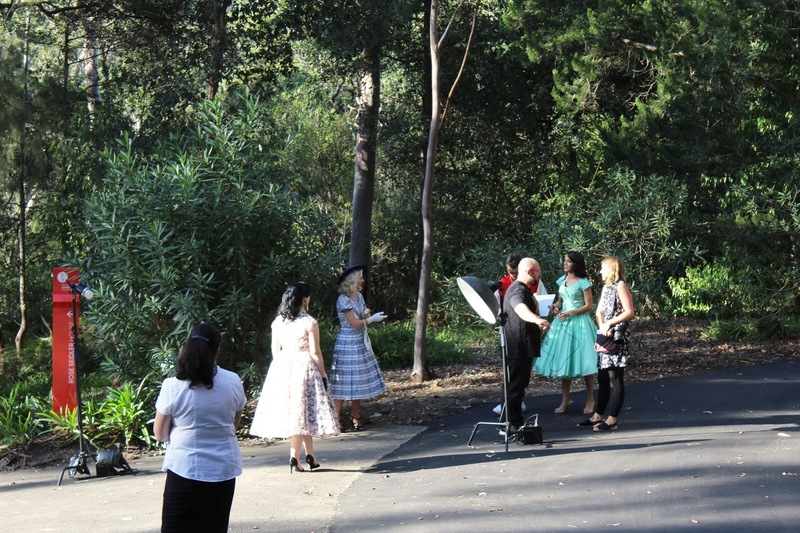 The last image has to be my favourite as it really sets the mood for this years Fifties Fair, I love the way our dresses look and of course it was taken in front of Rose Seidler House. 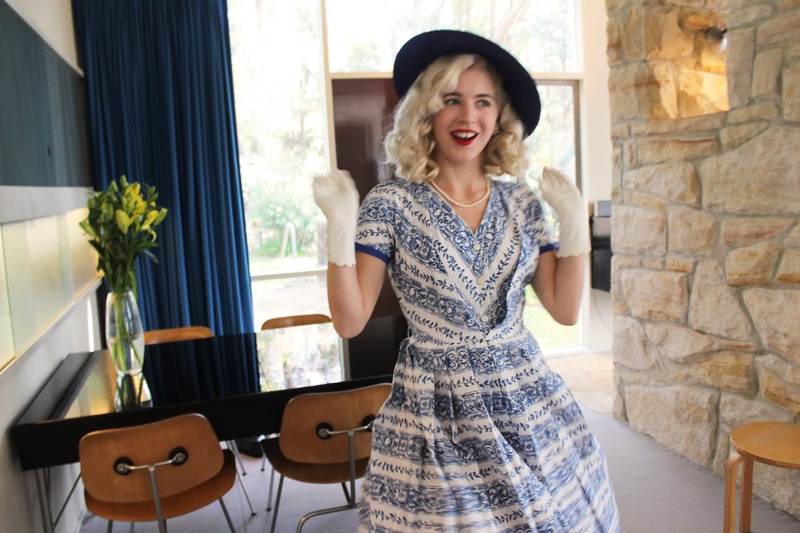 Behind the scenes photos are below, taken by my mother who was excited to be on set for a shoot and to have a look at the beautiful Rose Seidler House... It was so nice to have her there! Looking excited as I wait to shoot in the kitchen haha! 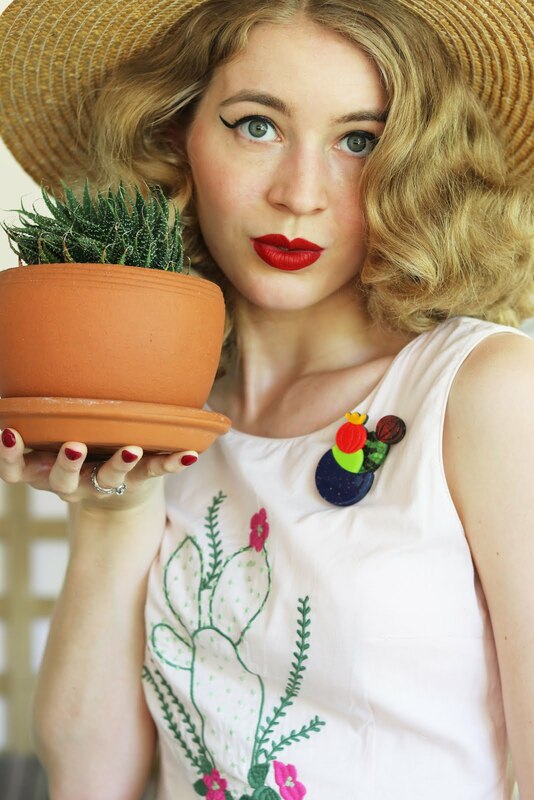 I actually planned to wear this outfit to the Fifties Fair last year but it was cancelled due to bad weather. 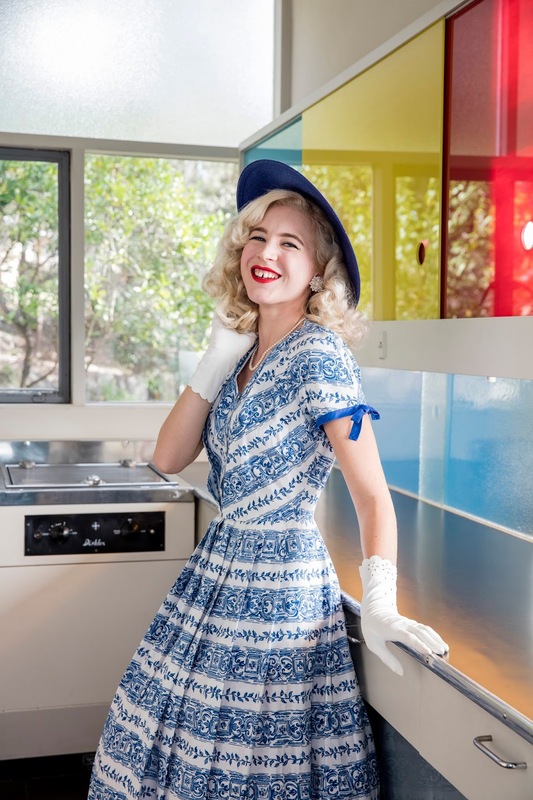 My new plan was to wear the outfit this year and then I was booked for the shoot, wore the outfit and decided it was a good excuse to look for another vintage dress for the event. 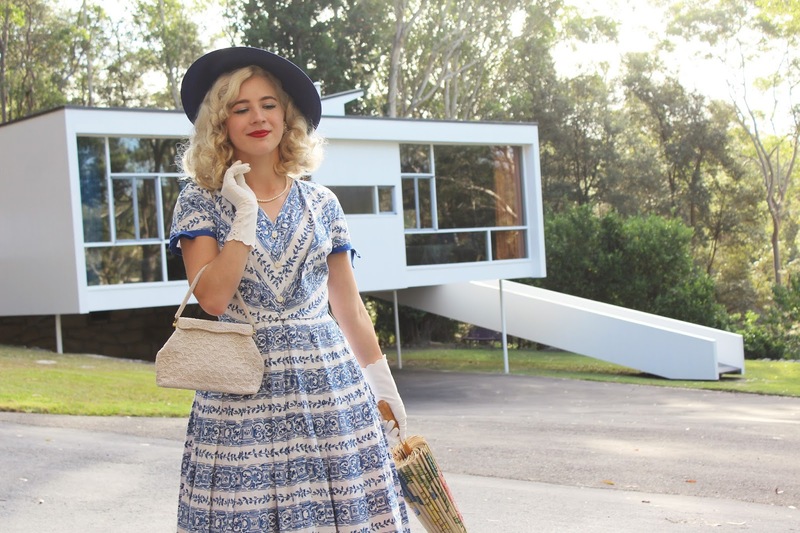 I still can't believe that my Aunty thrifted this original Horrockses dress, it is in perfect condition and it is gorgeous, she paid $12 for it. I couldn't believe it when she told me as I had always dreamed of owning one! My outfit for 2016 is already planned and my dress arrived yesterday, I need to alter it a bit but it's really lovely! 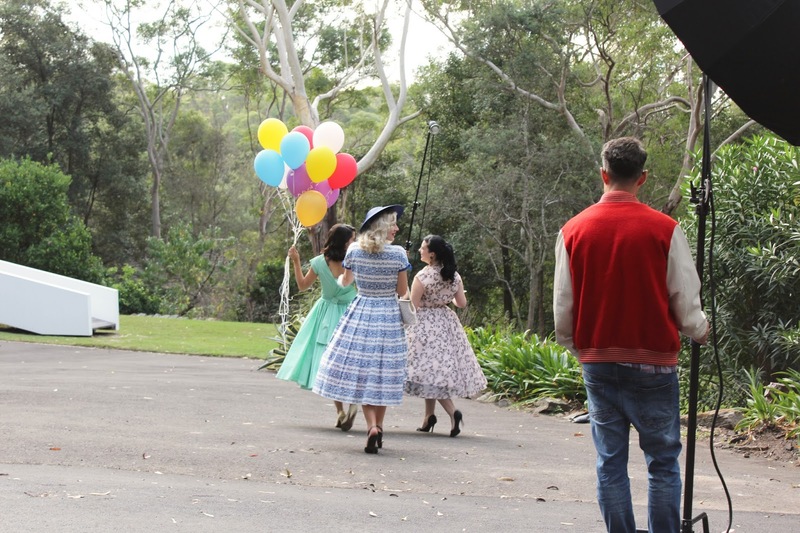 Thank you to Sydney Living Museums for having me on set, it was an absolutely amazing experience and the whole crew made the day so much fun. If you are planning on attending this year be sure to keep an eye out on my Instagram as I will be giving a double pass away closer to the event. 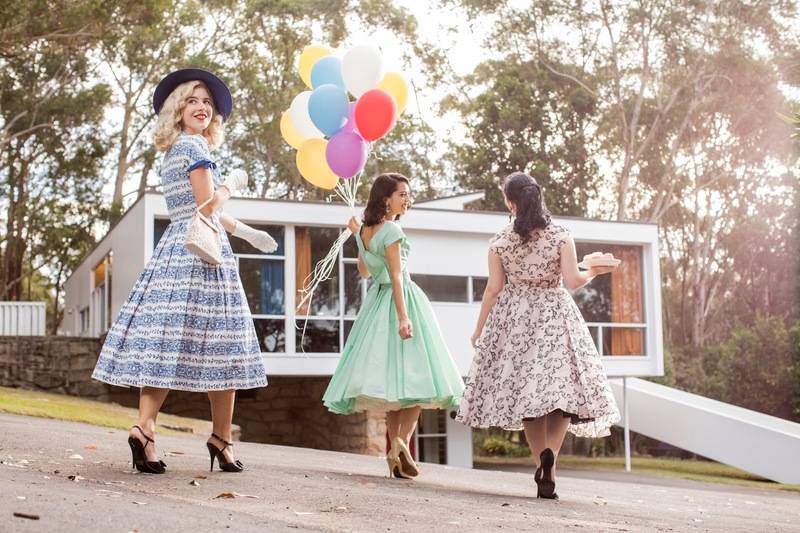 The Fifties Fair will be held on the 21st of August at Rose Seidler house, Wahroonga - More information can be found here. Be still my heart, what a stunning Horrockes dress. The moment I spotted the lead photo here in my feeds, I thought it was one, and was delighted to learn that it is indeed. What an incredible piece for your aunt to thrift and to have come to reside with you and be a part of this beautiful shoot. What a fun post and shoot!! I am jealous! =) That last shot of you and the gals walking is SO beautiful - I can see why it's your favorite. Also, go Aunty! $12!! What a find! You just never know what you'll find when thrifting!! What a catch! I m in love with your dress! You are apsolutely adorable. Ohhh gorgeous!! 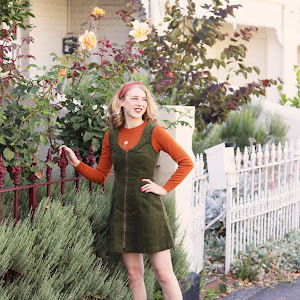 Great outfit, awesome location... simple wonderful post! Fabulous photo shoot... such fun at a fantastic fities icon.... hope the weather's sunny this year. What an amazing thing to be a part of! I'm glad you got to go and be a part of the photo shoot and that the fair didn't get canceled like it did the year before. 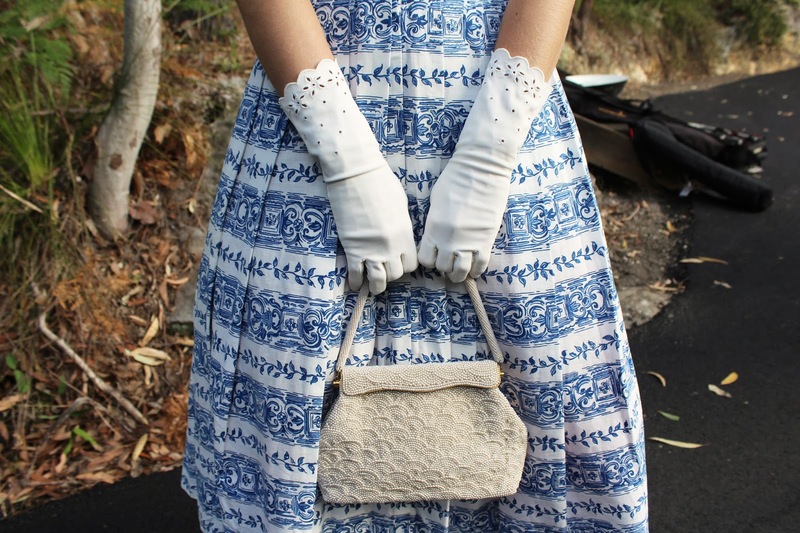 I love the vintage dress you wore and love the story that goes with it! <3 So sweet. Gorgeous photos! That house looks amazing! Oh my! You look so fantastic! This is an incredible dress on you! And the setting couldn't be better! All you girls compliment one another beautifully! You look beautiful, all three of you do and that dress is gorgeous!